Sabrina Fidalgo, J.D., received degrees in Communications Law from Coimbra University in Portugal and in Environmental Law from Universidad de Castila-La Mancha in Toledo, Spain. 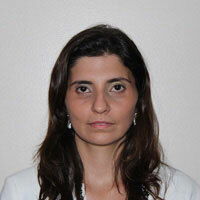 In 2007, she joined the National Telecommunication Agency of Brazil (Anatel) as a Telecommunication Law Expert. Anatel is responsible for approving, regulating, and supervising telecommunications operations throughout Brazil, in addition to managing the technical, economic, and security challenges of the sector. Since then, she has been developing public policies for the telecommunications sector. As an adviser to Anatel’s president, she has been involved in the expansion of Anatel’s strategic planning and restructuring process. Since 2008, she has been responsible for coordinating the telecommunications international negotiations and trade liberalization agreements in multilateral level at the World Trade Organization (WTO), the Organization for Economic Co-Operation and Development (OECD), and in regional levels at Mercosur and in Latin America.